A state in Malaysia governed by a conservative Islamist party has amended its laws to allow public canings for crimes against sharia law. Critics have called the move unconstitutional, with one politician saying it indicates a “bleak future” for the country. The amendment was passed by the assembly of Kelantan to more closely align the state’s policies with Islamic criminal law, Kelantan deputy chief minister Mohd Amar Nik Abdullah said, as quoted by Bernama state news agency. “Caning can now be carried out inside or outside of prison, depending on the court’s decision,” Mohd Amar said. “This is in line with the religion, which requires that sentencing must be done in public,” he said. He declined to say exactly what offenses would be punishable by caning, although Reuters reported that the amendment applies to sharia crimes. Ti Lian Ker, a member of the Malaysian Chinese Association, which is part of the ruling coalition, says public canings are unconstitutional under federal criminal law. “This is a rewriting of our legal system and spells a bleak future for the nation,” he said in a statement, as quoted by Reuters. While Islamic law is observed in all of the other Malaysian states, its application is restricted to family issues such as divorce and inheritance, as well as sharia crimes involving Muslims, including the consumption of alcohol and adultery. Criminal cases are handled by federal law. The decision of the Kelantan state assembly comes as no surprise, as the state has also been pushing to adopt a strict Islamic penal code called ‘hudud,’ which would allow adultery to be punished by stoning and thievery by amputation. The state, which is governed by PAS, a conservative Islamist party, has also banned nightclubs and cinemas. Last year, PAS introduced a bill that would expand the powers of sharia courts and incorporate hudud into the country’s existing legal system. The proposed legislation is expected to be debated in parliament later this month. 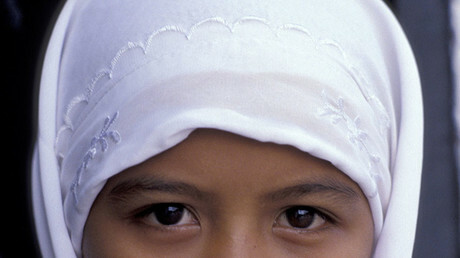 Ethnic Malay Muslims make up more than 60 percent of the country’s 32 million people. Similar calls to implement stricter sharia law have made waves in recent years, prompting concern from members of the country’s Chinese and Indian populations, as well as other ethnic minorities. The Wednesday amendment comes just one month after Malaysia's Health Ministry made headlines for holding a contest soliciting videos which explained the consequences of homosexuality and "gender confusion," promising a cash award of up to US$1,000. Homosexuality is forbidden in Malaysia. Those violating the law face flogging and up to 20 years in jail. Meanwhile, the Malaysian state of Kelantan isn't the only government in the region to advocate for caning, or against homosexuality. In May, two gay men were publicly caned in Indonesia’s most conservative province, Aceh, which has the authority to enforce sharia law alongside the national criminal code.